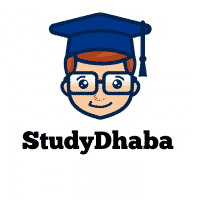 Probable Essay Topics UPSC Mains 2017 Essay Paper Pdf Download – Hello friends Welcome to studydhaba.com .Here We are Sharing List of all Important Topics Which can Come In Essay Paper 2017 UPSC Mains Exam. This is a Short List of all important topics . We will Update This Every Month . To Download These Topics in Pdf Form Just Click on Print Pdf button given below . 1 North-eastern India. Special attention needed. 2 Nuclear power plants in India. Whether India should focus more on them, etc. 3 Attack on Africans in India. 5 PM Modi’s agricultural schemes. 7 Prohibition on liquor and its effects. 8 100% FDI in ecommerce. 9 Freedom of expression versus nationalism. 10 Digitisation and Indian democracy. 11 Pros and cons of 2017 Union Budget. 12 Pollution in India. Environmental crisis. 13 India’s responsiveness to natural disasters like flooding, etc. 18 Energy security in India. 20 Jallikattu protests in Tamil Nadu. 21 Intolerance debate in campus. 22 Social media versus conventional media. 24 Relevance of Gandhi today. 25 Pros and cons of a cashless economy. 26 Relevance of SAARC today. 28 Water disputes between Indian states. 29 Value education in India and corruption. 31 Tiger conservation in India. 32 Development and Green India. 35 Inclusion of women in the armed forces. More combat roles for women. 39 Freedom of press in India. 40 India’s role in the changing global order. 41 Poverty and gender equality. 44 Juvenile crime in India. 45 Crime against women in India. 46 Should there be priority for India’s space missions amidst pressing issues like poverty, unemployment, etc.? 47 Corruption in the armed forces. 48 Scrapping of the Planning Commission.